Rev. Ian Taylor, B.D., Th.M. 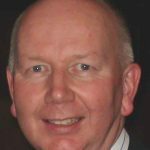 Ian Taylor is the minister at Springfield Cambridge and you can find out a little more about him by clicking his name.